My wife and I sold our house last year to build a new house. 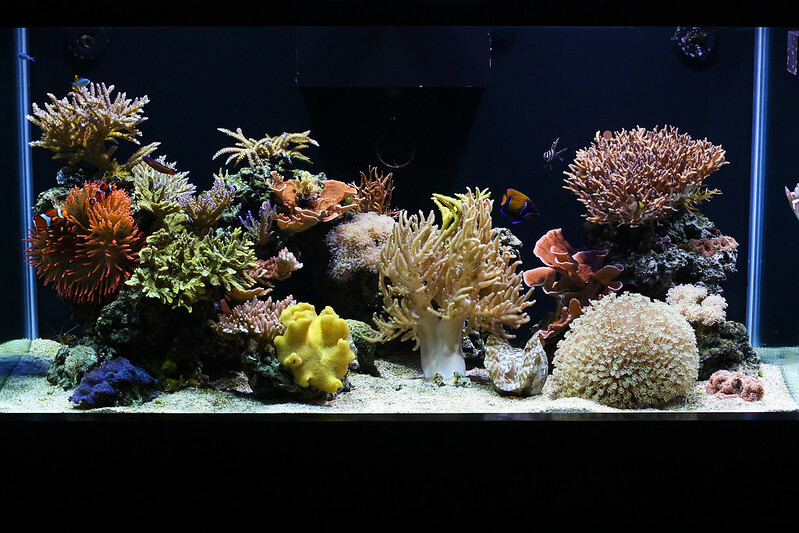 We sold the 120 reef with plans to build a 300. 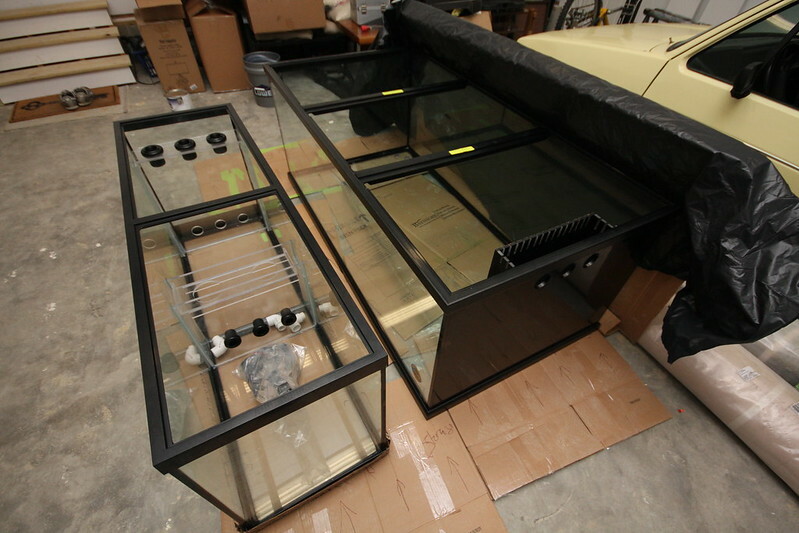 We moved into the new house last weekend and the tank and sump were delivered a few days ago. Here is a link to the old tank. And a shot of the 120 before I got rid of it. 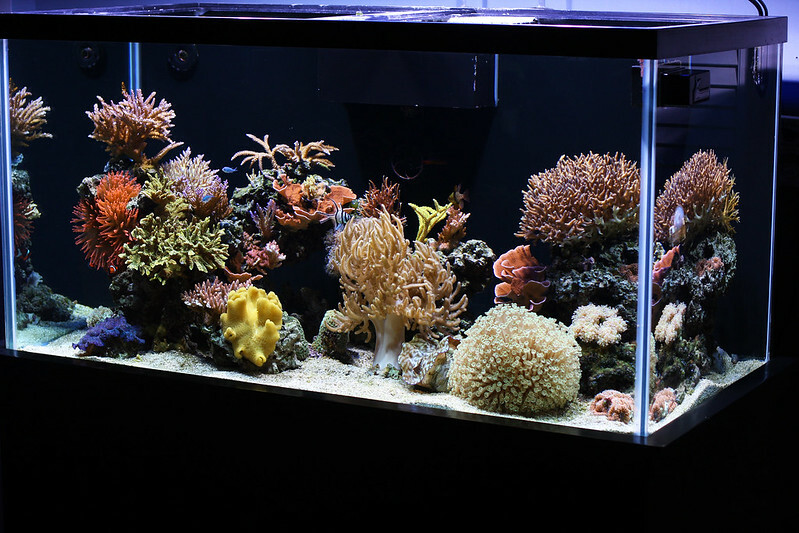 The new tank is a 300 which was converted to peninsula style. The sump is a 120. My first order of business will be the stand. I want it to look like this. 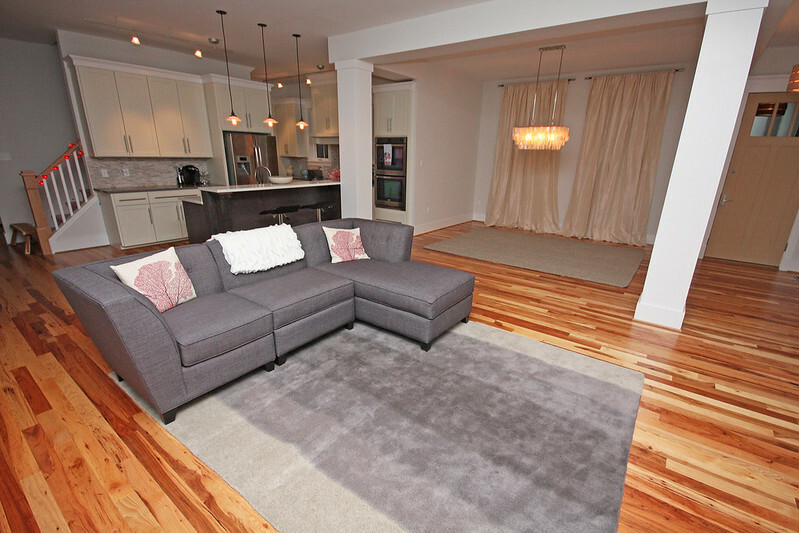 Floor to ceiling with doors all the way around it. I have decided to have the frame made of metal and am trying to decided b/t regular steel with 2 part epoxy painted over it to prevent rust or to just go with stainless. I am leaning towards the first option. Curious if I can just use 4 corner vertical posts from 3" or 4" square tubing. I have been told I should be good but am curious if anyone else is using something similar for a stand. Please be patient on this thread. The build will be slow at first. And here are some photos of the actual tank. The tank will go between these columns so you can view both sides from the living or dining area. Last edited by RVANANO; 02/10/2014 at 08:09 AM. This looks good. I am going to keep an eye on this! Very beautiful tank and house! I loved your old build and I'm looking forward to your upgrade build! that is one CUUUUTE little frag! I hope to have more updates soon, Dennis. This is going to be one great build thread. Looking forward to this one. I will be watching this thread! Loved the 120, goodluck and can't wait to see this one! Get a move on, we're watching you!!!! Want a RBTA when you ge ready??? Brandon, I'm going to be following along with this one for sure. 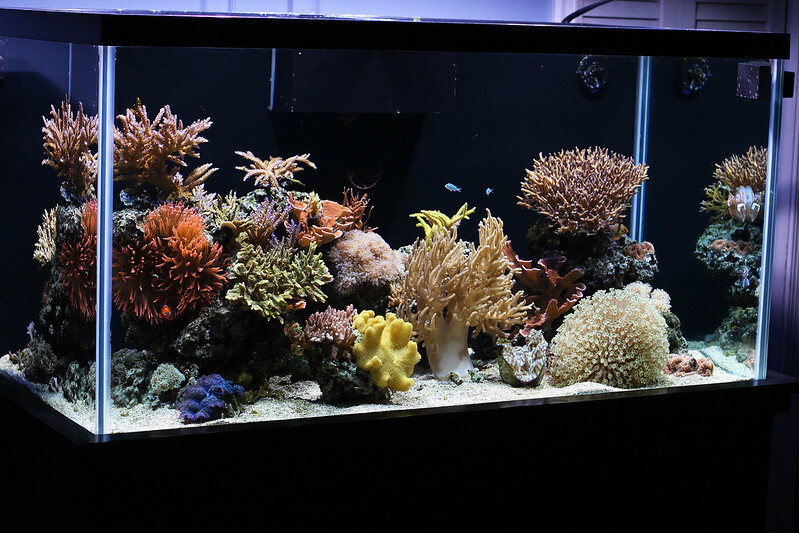 I don't think it will be anything short of amazing based on how well the 120 did/looked! Looking forward to what you do with this tank. I read your old build thread several times. Congrats on the new house and glad to hear you and the fam are finally moved in. Good luck! Thanks, everyone! I am hoping to get sketches and final prices for the steel stand today. The guy doing my steel tank frame said that with only 3" steel tubing on the corners, the max deflection in the center based on 3000 lbs would be .3" but it seems that would only occur if the 3000 lbs were on that center point when in fact it's distributed to the 4 corners. Is that acceptable? There would only be vertical supports on each corner. Brandon be safe rather than sorry use 6 posts 3 per side with that way there is less likely going to be a chance for a leak from the tank breaking. Do not take a chance with that brand new house ok. The problem is that the tank is going b/t two columns. If we have a center support, I might not ever be able to get the sump out if need be. Which was the reason for going with steel over wood. Go with 3 on the Back end of the tank and then on the Front side see if the guy can come up with a way to have one brace that could be removed from the tank if it was ever needed. That way your supporting the tank across the middle. 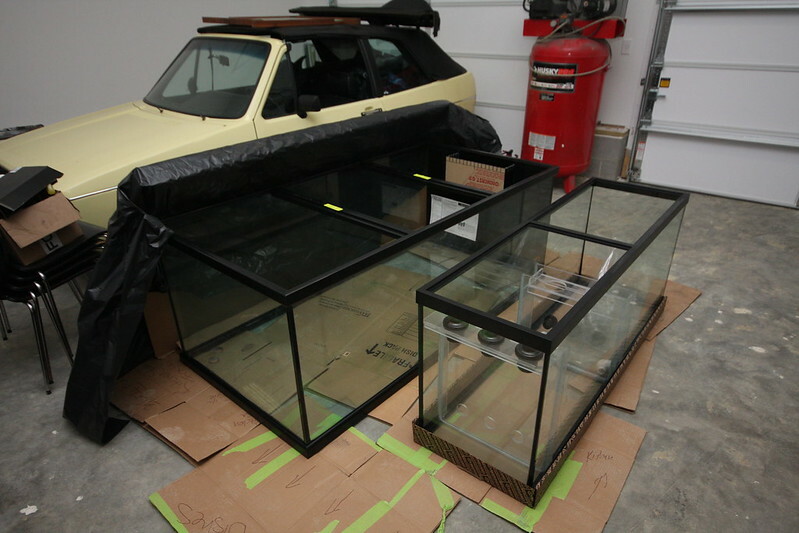 I have seen to many glass tanks break in the middle if not fully supported. 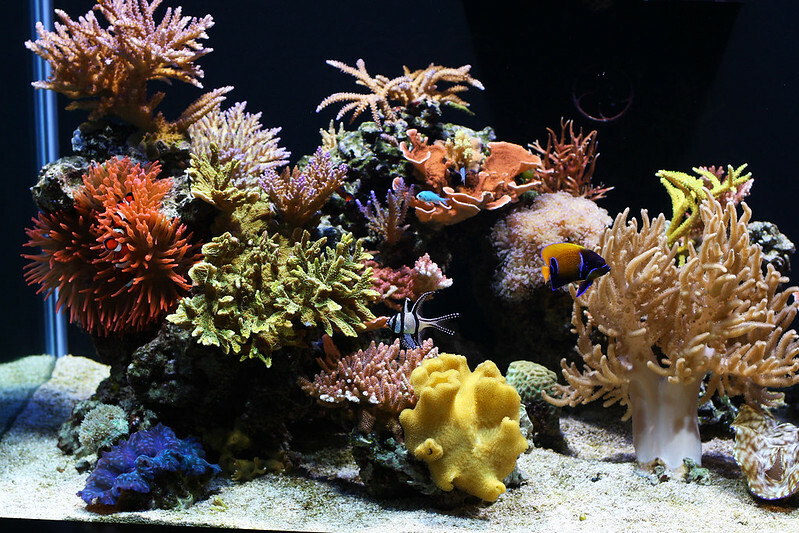 Most Aquarium Glass is rated for about 40-50 PSi failure load at one point. With the stand your wanting your right at 30 PSI. It is decent but not a good fail safe point. Last edited by ironeagle2006; 02/20/2014 at 08:12 AM. 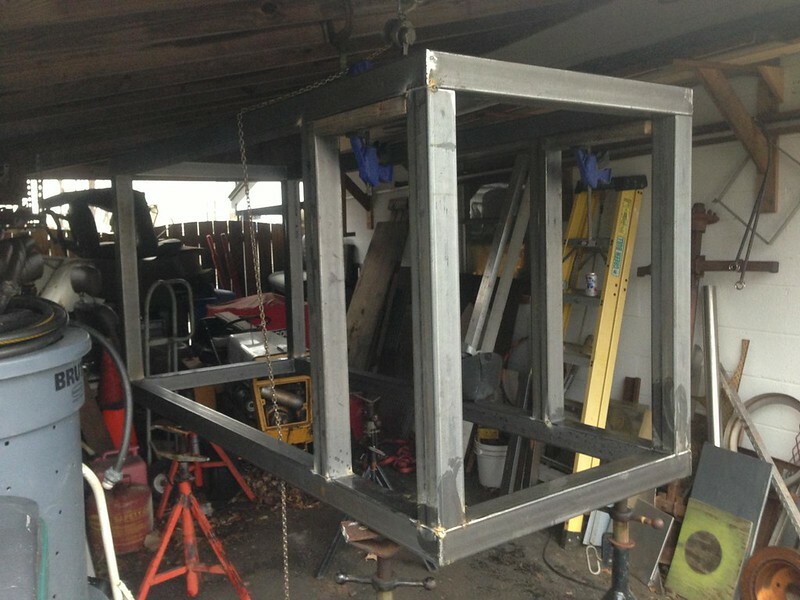 My friend who is building the stand frame just sent this photo and said it should be done this weekend!! 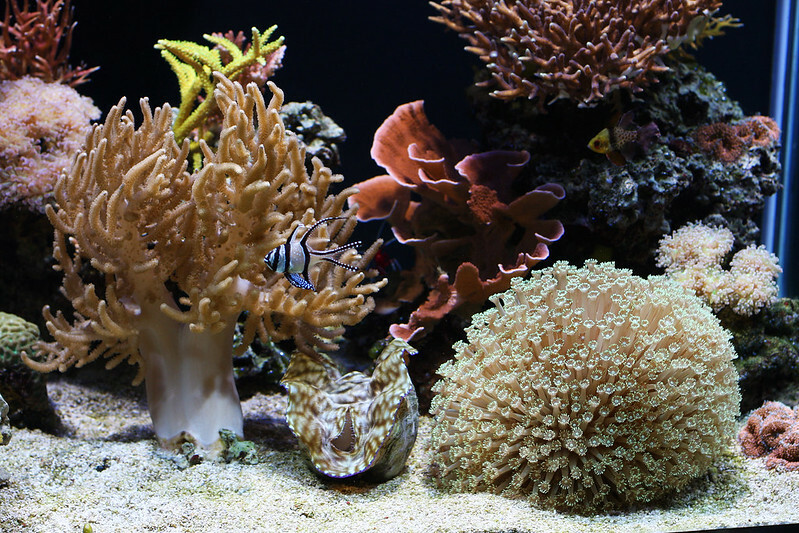 I've got to ask, that goniopora looks great in your old tank. How long did you have it? That looks like a great idea for the tank setup. I would setup some boxes or obstructions for a few days where you want it to go and just see if it works for the flow of the house. 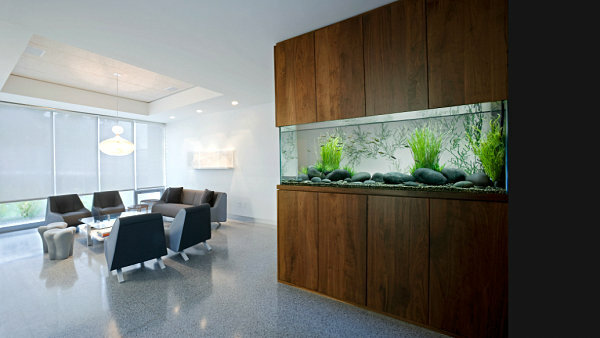 I saw a couple new houses I was looking at that had a similar spot I was thinking for a tank, between the living and dinning area. Can't wait to see how yours comes out. Also, that tank is almost as big as the car. Wow. The old was beautiful and i can't wait to admire this one too brandon.